In October of this year, two consortia published overlapping large-scale genomics studies in the journal Nature, one on which I served as lead author, which included data from thousands of families with a history of autism spectrum disorders. The studies identified several dozen high-confidence autism gene targets that showed spontaneous, harmful mutations in multiple affected (and quite importantly, unrelated) individuals. As the culmination of almost four years of work by hundreds of researchers, this was perhaps the most important day in the history of autism genetics — so far. For me, this was both a professional and personal triumph. In 2005, autism became very real to me. My oldest child, a son, was diagnosed with high-functioning autism at age 3 years. Soon after, my life changed direction in almost every way. I was trained as a molecular geneticist, and spent my early career studying plant and fungal model systems. Ten years ago, when I was a postdoctoral associate at Cold Spring Harbor Laboratory (CSHL), autism was an intriguing yet remote genetic puzzle. Based on twin studies, it was clear that there was a very strong genetic component, but the extreme gender bias towards males and lack of clear evidence of inheritance didn’t fit the standard genetic models. Other than a few successes, such as identification of the genes that underlie Rett syndrome, tuberous sclerosis and Fragile X syndrome, very little had been discovered. In retrospect, the signs were always there with my son: restricted interests, repetitive behaviors, difficulty in social interactions, and delayed acquisition of speech. But even as a researcher and former biomedical journal editor, I did not know enough about autism to imagine that he might fall within the spectrum. It was far easier to attribute it to the fact that my son was being raised in a fully bilingual environment, or some other unknown possibility. At about the same point in time, a new and provocative theory for the genetic basis of autism was gaining support: the sporadic nature of the disorder might be due to de novo mutations arising in the parental germline that are therefore present in all cells of the child, but only in the sperm or eggs of the parents. Geneticists Michael Wigler, PhD, and Jonathan Sebat, PhD, of CSHL developed the hypothesis, with funding from mathematician and philanthropist James Simons, who had his own personal connection to the disorder, as his daughter had been diagnosed with high-functioning autism. I joined Wigler’s group shortly thereafter. Our team has spent the last eight years examining thousands of families with autism spectrum disorders for de novo mutations, using the same, very simple approach: we look for changes that are present in an affected child, but not in either parent and (very importantly) not in the unaffected siblings of an autistic child. Our team was fortunate to work with the Simons Foundation Autism Research Initiative in assembling a set of autistic families, the Simons Simplex Collection, which was put together with these specific characteristics in mind. As an aside, one of the truly surprising outcomes of widespread genomic analysis — first by microarrays, and now by next generation DNA sequencing — is how common de novo mutations are. Every human genome is replete with new mutations, and our evolutionary history is littered with their remnants. There are various types of mutations, involving changes both large and small. The most common class involves a change in a single DNA nucleotide, whereas others delete or duplicate or delete entire chromosomal regions and encompass tens of thousands of nucleotides. From the work done so far, we can definitely say that these de novo mutations underlie at least 30% of autism cases, and there are about 400 genes and regions involved (out of about 25,000 in humans). One in three may not sound like a lot, but that’s what we’ve been able to find by picking the “low-hanging fruit,” the really obvious events. This helps us know where to look for the less obvious ones, which are likely to be more subtle alterations in the same genes. Many questions remain. Beyond searching for individual genes, we still don’t know why so many more males have autism than females. It’s not because there are more de novo mutations in males, although more such mutations do come from fathers, particularly as they age. The observed 4:1 male-to-female gender bias predicts that some females are protected against autism when they have deleterious mutations. In effect, these women are carriers, and this state is only revealed when they have a male child with autism. It’s almost a fait accompli to claim that more analysis is needed, but it is entirely true in this instance. So what does this mean for clinicians? Put simply, we have a better idea of where to look. But there is still no definitive genetic test for autism. 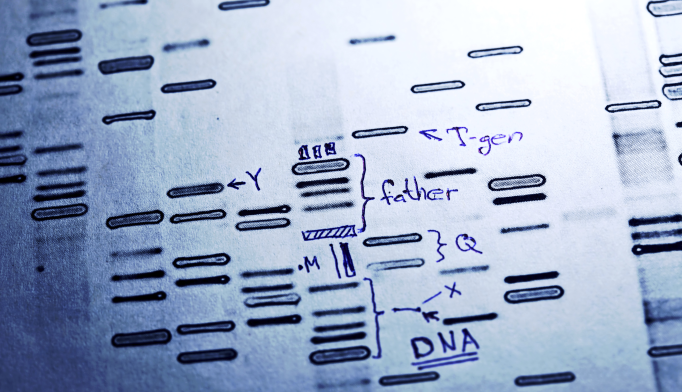 Of the 400 genes, we’ve only conclusively identified about 20%. Still, we’ve started to find the same genes more than once, as the recent Nature papers reveal. Within five years, it is likely that we will know the identities of all the genes underlying autism, and be able to account for the genetic cause in most cases. There is every reason to believe that these discoveries can then be leveraged to diagnose autism early and definitively and that therapies will be tailored more precisely to fit the condition. On a personal level, I remember all too well the shock of an autism diagnosis almost 10 years ago, and the agonizing uncertainty that followed. Given what we now know about neuroplasticity during child development and the effectiveness of early intervention, bringing more precision and speed to diagnosis will benefit not just autistic individuals, but just as importantly their entire families. Michael Ronemus, PhD, is a research investigator at Cold Spring Harbor Laboratory in Cold Spring Harbor, New York.